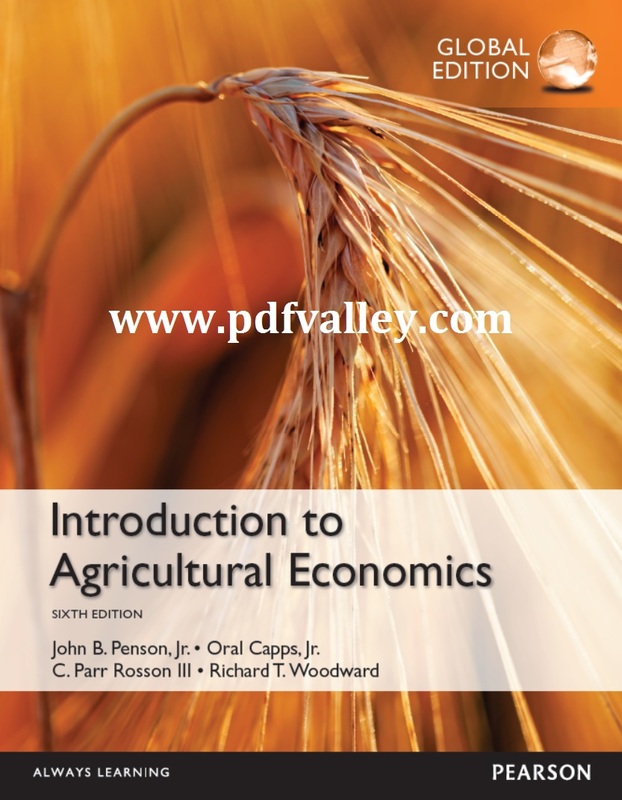 You can download Introduction to Agricultural Economics 6th Edition by John B. Penson Jr., Oral Capps Jr., C. Parr Rosson III and Richard T. Woodward free in pdf format. 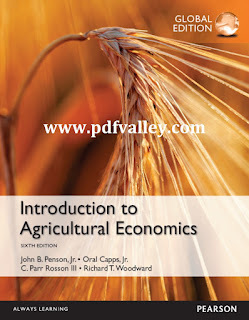 Introduction to Agricultural Economics, Sixth Edition, provides readers with a systematic introduction to the basic economic concepts and issues impacting the U.S. food and fiber industry and offers strong coverage of macroeconomic theory and international trade. Strong coverage of macroeconomics, the role of government, and international agricultural trade: The coverage of macroeconomics and agricultural programs and policies allows readers to further understand the domestic market economy. Building block approach: Discusses individual consumer and producer decision-making, market equilibrium and economic welfare conditions, government intervention in agriculture, macroeconomic policy, and international trade. Extensive chapter review: Each chapter contains an extensive list of questions designed to test comprehension of the material covered.